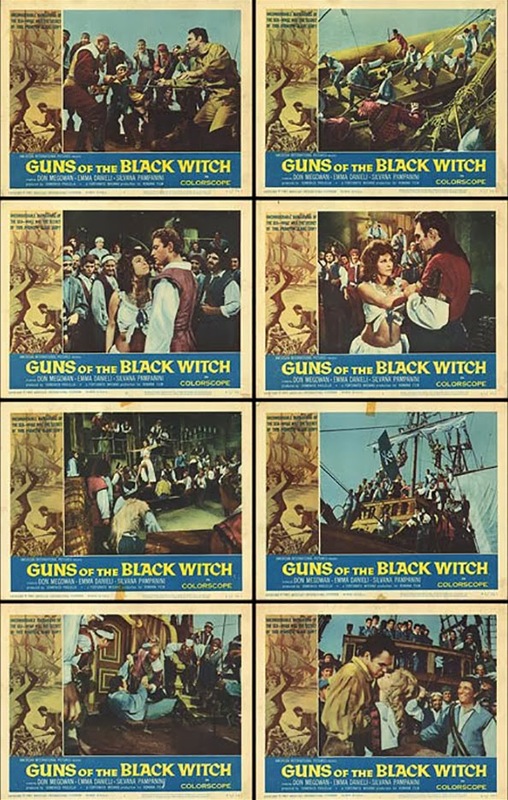 US lobby cards set for GUNS OF THE BLACK WITCH (original title: Il terrore dei mari which translates as The Terror of the Seas): all the actors are featured including Germano Longo (the only US lobby card with Germano?) which makes it a good set. Plenty of action scenes. Good set.